Professional carpet cleaners not only transform the appearance of your carpets, they can transform the appearance of your home. If you’ve gone years without having your carpets professionally cleaned, pressure cleaning can reach deep into the fibres of your carpet and remove the cause of discolouration, ageing and very often the source of allergens and respiratory problems. All sorts of things gather in your carpet. Dust, mites and bacteria that lie dormant in your carpet are disturbed and pushed into the air when you walk on your carpet or vacuum. They circulate in the atmosphere and cause allergic reactions and even respiratory problems. Vacuuming has some effect but not enough to completely eliminate the negative side effects of allergens. 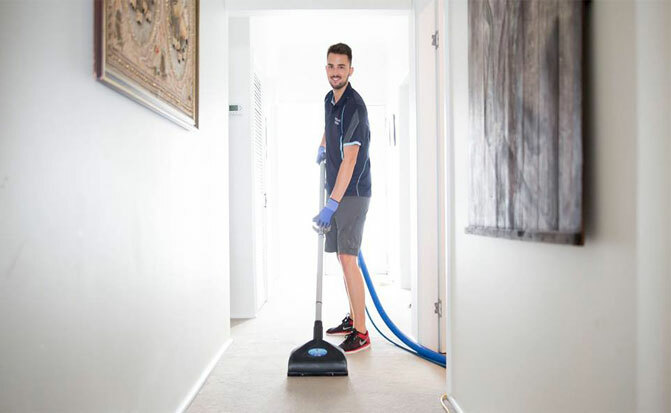 Carpet cleaning services in Sydney often notice that the air quality in homes improves after a professional pressure cleaning. If you have family members with allergies or respiratory problems then a regular pressure clean from Pressure & Steam improves the air quality in your home and reduces illness. 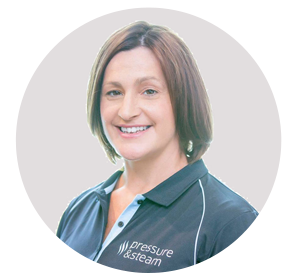 Before your Pressure & Steam carpet cleaners arrive, there are some things you can do to prepare. We take great care to eliminate the likelihood of damage to your property but there are some things that you can do to prevent property damage and ensure a better result. Remove as much dirt and debris as possible. A good vacuuming will bring much of the dirt to the surface making the deeper, hard to reach dirt more accessible. Heating, ventilation and air-conditioning (HVAC) registers should also be cleaned thoroughly so dirt and dust don’t circulate soon after your carpets are pressured cleaned. You’ll get a far better result from your clean if you declutter. Clear the space for your carpet cleaning professional to work in. That means moving anything that’s fragile or anything small from the floor that might be inadvertently scooped up in the process. We are very careful with your property but the job is made far easier if we don’t have to worry. Same with trailing bedspreads, curtains and tablecloths. Depending on what’s involved and whether your furniture is easily moved, you may need to store it temporarily or have somebody move your furniture to another part of the home. If it’s just a case of relocating smaller pieces then we are happy to help, but larger pieces should be organised prior to having your carpets professionally cleaned. Sometimes people remember to put away their valuables and relocate their furniture but they forget their pets. Birds, cats and dogs can react to having strangers in their home, especially strangers with loud bits of machinery. If you can leave your pets outside that usually solves the problem. If not, they might be better off somewhere where they won’t be disturbed. Nominate high traffic areas that need particular attention or areas where there might be stains or marks in the carpet. We have extensive knowledge of carpet fibres and what is required to remove all types of stains without damaging your carpet. The solution we apply will get the best possible result and it won’t be harmful to your children or pets. As an additional measure of protection for your carpets and to keep them clean for as long as possible, we use Microseal to protect against UV, stains and wear and tear. Commercial carpets have synthetic fibres so we apply a low moisture deep cleaning service designed specifically for synthetic and commercial carpet which includes an anti-resoiling technology.